Street 50: CNY 2016 Hotpot Buffet with BRAND'S Chicken Essence! Wait what? Chicken essence in food?! Yeap, this CNY, Street 50 collaborated with BRAND'S Essence of Chicken to bring us a slew of auspicious-sounding CNY dishes that are both unique and healthy. The 8 treasures platter consists of: salad of pacific clam, prawn, smoked oysters, sea asparagus, black fungus, "fatt choy" and roasted pine nuts with essence Vinaigrette. This was my personal favourite as I loved how everything just came together nicely. The prawns in this one were big and firm, as if they were harvested from the toned muscles of a weightlifter. 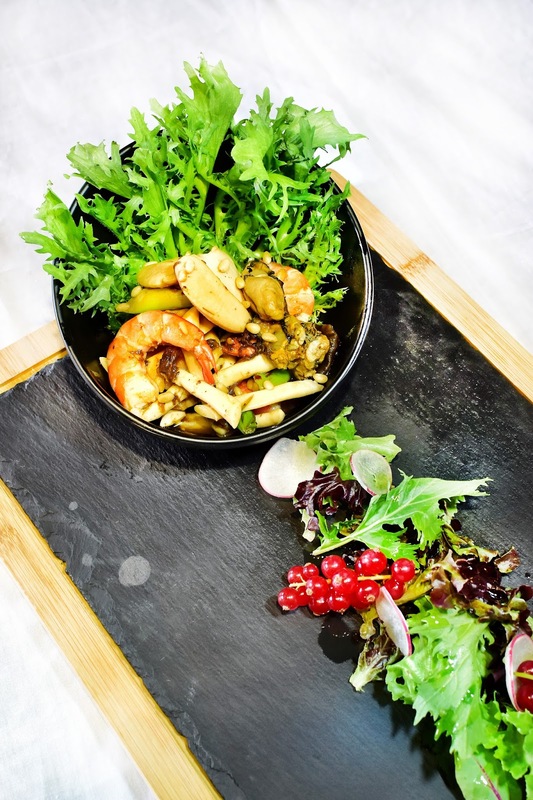 The roasted pine nuts added a brilliant touch of sweet, nutty flavour to the bowl of (mostly) seafood. Peking duck is on FREE-FLOW in this CNY buffet. You have to camp near the station because they run out so fast! For this dish, they cooked the seabass together with carrot pearl, barley, green zucchini pearl, yellow zucchini pearl, white fungus and essence of chicken. As expected of a seabass, this was tender, yet firm in texture. You might want to start with this fish first before digging in into other dishes that are more rich and flavourful. The Seventh Heaven Crabmeat Noodle in Essence Stew was the most popular dish that night. Made with Hong Kong noodles with yellow chives, mushroom, crabmeat, chinese mushroom and lily bulb in essence stew, this is one dish that will make you go back for multiple servings. The flavour of the chicken essence comes out nicely, complementing the egg-y HK noodles with its sweet and savoury aroma. 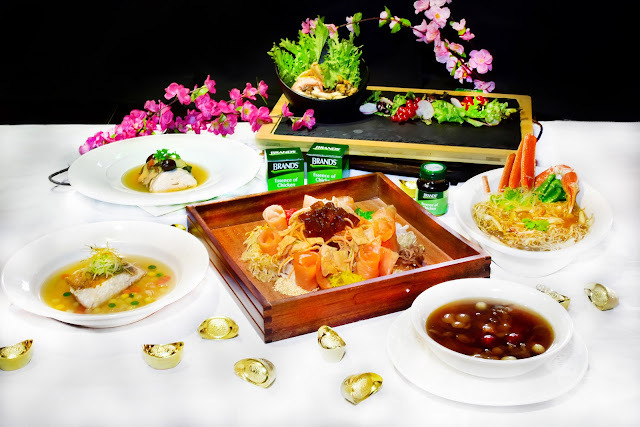 A delightful broth made from BRAND'S chicken essence together with ingredients like old ginger, Chinese wine, dried longans and red dates. This felt like a youth potion with its light, herbal taste and all those ingredients that are good for your health. I felt at least 5 years younger after drinking this. SERIOUS. Of course, how can it be a CNY feast without the good ol' "lo hei"? And, just in case you are wondering, yes, the chicken essence can also be found in their "yu sheng"! 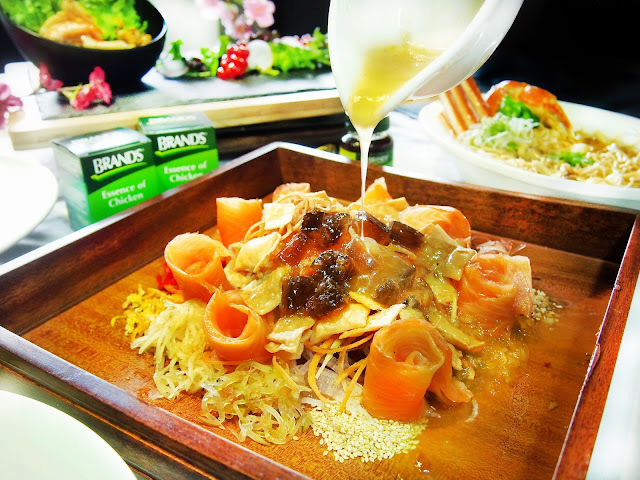 Those brown cubes that you see in the photos are actually chicken essence jelly cubes! 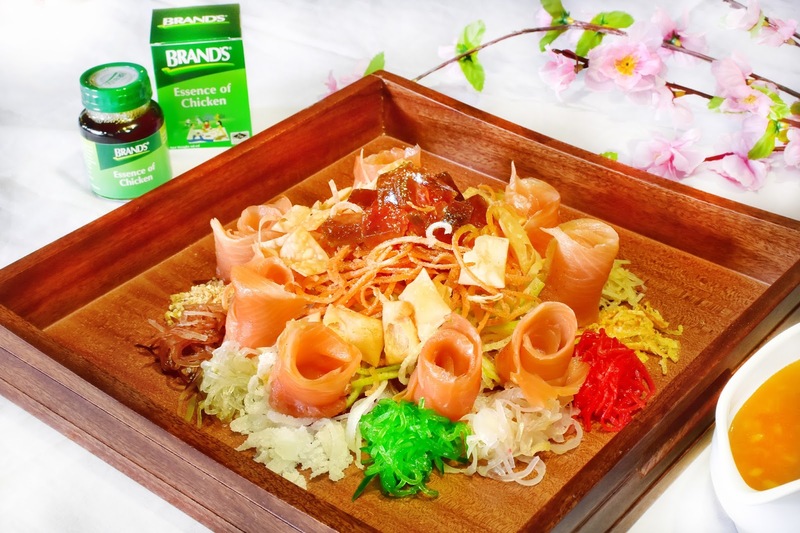 "It's never a 'good' lo hei unless your plate is messy enough"
How often do you get the chance to have a hotpot that is made from BRAND'S Essence of Chicken? Served in individual Chinoiserie chic pots with customised designs of dragons in hues of majestic yellow and royal blue, this is one unique hotpot you would not want to miss. TIP: Add in lots of vegetables to sweeten the broth! End off your buffet feast with a bowl (or two, or three) of cold cheng teng with sea coconut and candy lotus roots. One of the healthier dessert that not only relieves your stomach from all the eating but is also beneficial to your health! 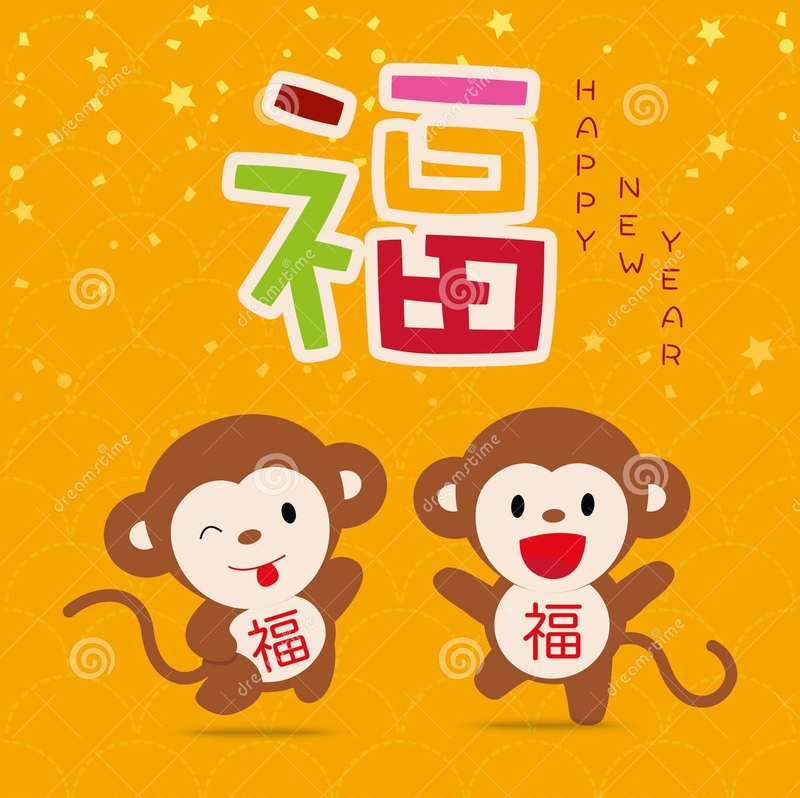 Here's wishing everyone a Happy Chinese New Year, may good luck and good fortune be with you, "HO"(猴) seh ar!